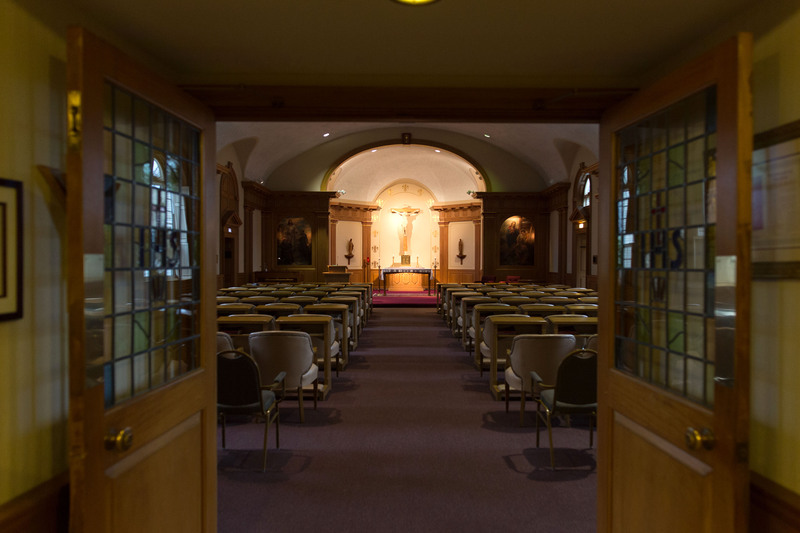 Bellarmine offers an environment of stillness and serenity for groups and individuals to hear God's voice resounding in the depths their hearts. Bellarmine Jesuit Retreat House offers parochial schools, churches, religious communities, and ministerial organizations who share in our mission a sacred space of stillness and peace to host their own retreat programming at our retreat house. Bellarmine offers a variety of sacred spaces, numerous meeting rooms, extensive rolling meadows and forested perimeters, and wide-array of homemade menu options. We are dedicated to providing that space of quiet for groups and individuals to hear God's voice resounding in the depths their hearts.